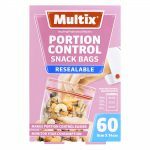 60 Multix Resealable Portion Control Snack Bag make portion control easier and are great for monitoring your consumption. Size: 9cm x 14cm. 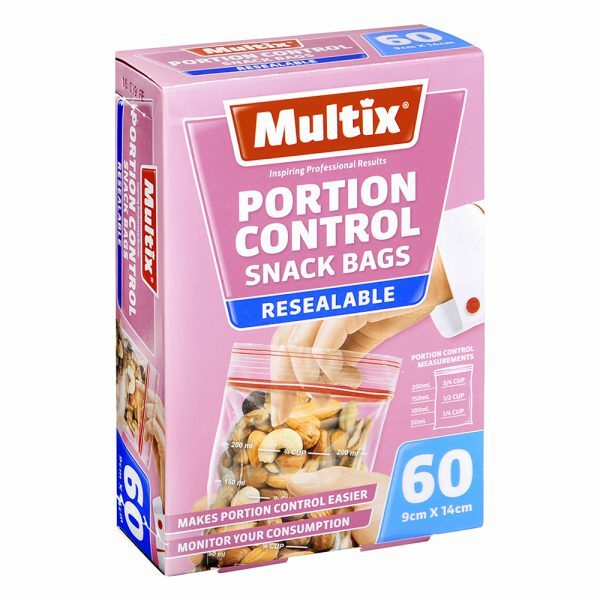 Portion control bags allow you to accurately monitor food consumption. 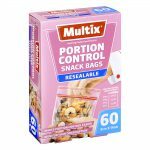 They have handy measurements that serve as a guide as to how much you have packed and consumed. 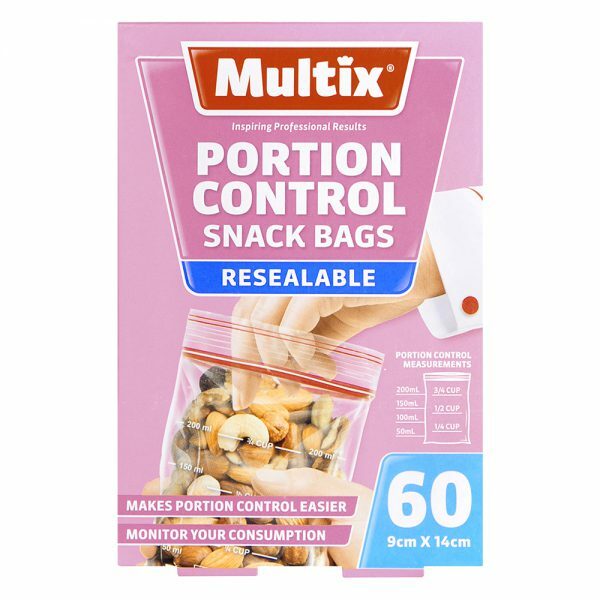 Ideal for use when dieting and monitoring portion control and for snacks on the go.